Would you like to learn a little about the music we play? Would you like to swing a mallet? Focus on playing as a group and having some fun! 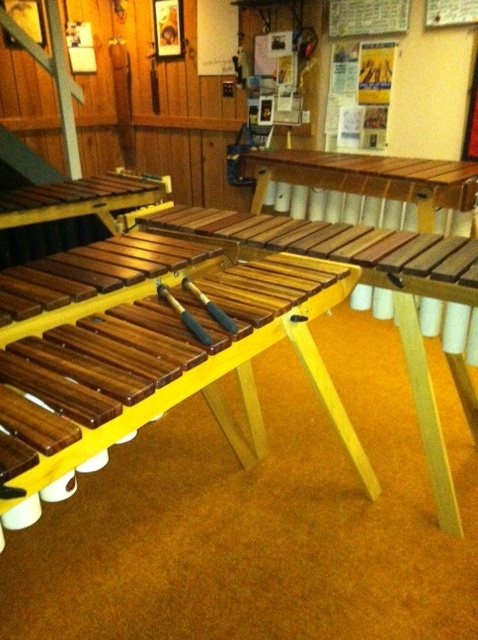 These introductory “Marimba and Sip” events are offered 6:30pm to 9:00pm on Friday and Saturday evenings. Get your friends together! Light snacks provided–Bring your own beverage, wine and/or beer! Email for further information and availability!